On Saturday June 10th, Publix kicked off their 26th year of fundraising for Children’s Miracle Network Hospitals through their annual coupon balloon campaign. 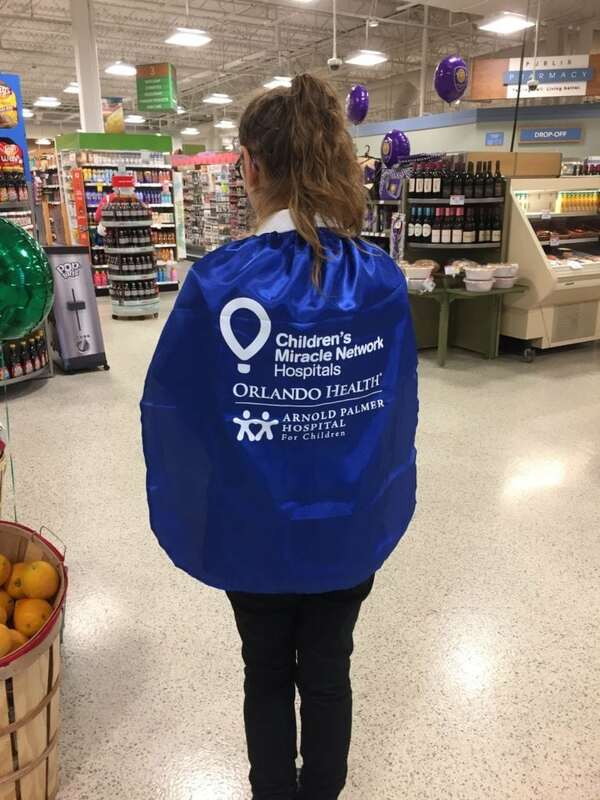 Across Central Florida, Publix associates are showing off their inner superhero with special capes that feature the logo of their local CMN Hospital– Arnold Palmer Hospital for Children. With or without their capes– local Publix associates are true heroes to local kids who will benefit from their extraordinary fundraising efforts between now and July 1st.